What’s happening at Food Preserving HQ this Term: Learn how to make mozzarella, sausages, bacon, biltong, jerky and edible Christmas gifts! What food preserving recipes (and/or techniques) would you like to learn next? There is so much I am working on behind the scenes on the Food Preserving website. New categories packed with recipes and educational articles to teach you how to preserve, pickle, dehydrate, ferment, cure and so much more! 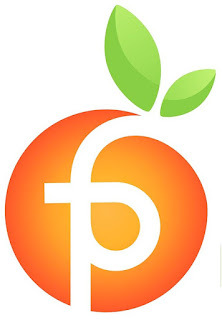 As with all good things, this takes time around our family time (and teaching community classes), but do keep an eye on the Food Preserving Facebook Page for news as we add hundreds of new recipes, articles and streamline the website content over the next few months. Fruit bottling and other home preserving recipes have been added (and updated) during September, with the remaining Fruit Bottling Recipes being added this month. Don’t forget to make your fresh Strawberry Jam using local Australian strawberries! Or perhaps you will make some delicious Cape Gooseberry Jam or Mulberry Jam this season. P.S. Not food-related, but still following the green living/DIY way of life here at FPHQ, we love crafting and making homemade body products. Olive oil soap, lip balm, sugar scrub soap (great for gardeners) and salt soaks all make lovely Christmas gifts too! Ever wondered how much work goes into building a new kitchen, or what is involved in beginning a food business from home? We’re sharing the step-by-step stages of planning, approving, buying and assembling/installing our new commercial kitchen at Food Preserving HQ (Western Australia) on our Facebook Page. We're removing the old (small) kitchen and building the new kitchen ourselves, including the tiling and painting - everything except for the plumbing and electrical work - and getting it approved through our local council to make and sell homemade jam (and hopefully begin teaching small food preserving classes here once everything is completed by early 2017). Our kitchen plans have been completed, just awaiting structural checks with our local engineering company before we go ahead with the next step. Our album on Facebook is here. 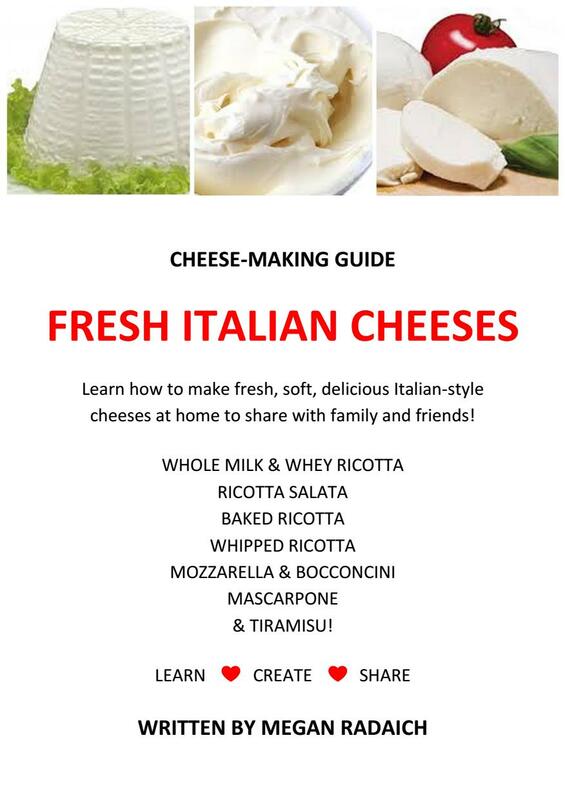 Learn the art of making fresh mozzarella cheese! 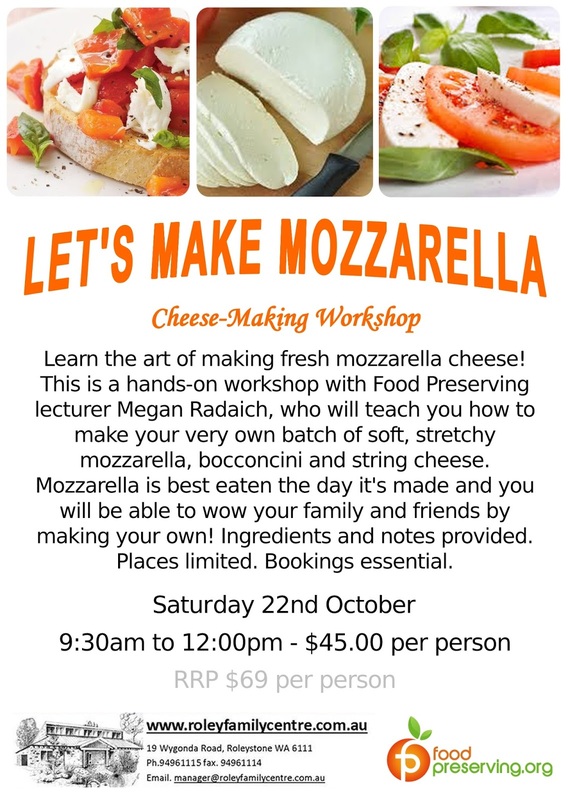 This is a hands-on workshop with Food Preserving lecturer Megan Radaich, who will teach you how to make your very own batch of soft, stretchy mozzarella, bocconcini and string cheese. Mozzarella is best eaten the day it's made and you will be able to wow your family and friends by making your own! Ingredients and notes provided. Places limited. Bookings essential. Do you like jerky and biltong but dislike how much it costs to buy at the shop? 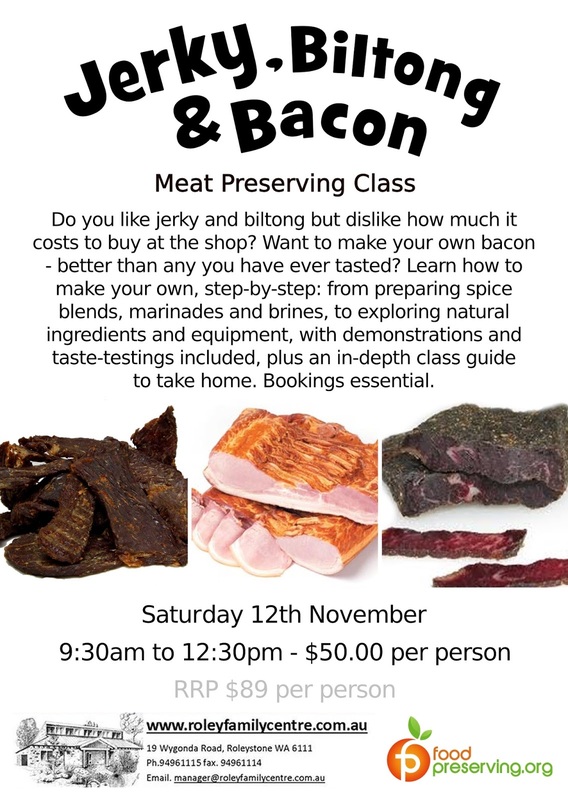 Want to make your own bacon - better than any you have ever tasted? Learn how to make your own, step-by-step: from preparing spice blends, marinades and brines, to exploring natural ingredients and equipment, with demonstrations and taste-testings included, plus an in-depth class guide to take home. Bookings essential. Learn how to make homemade preserves and edible gifts! 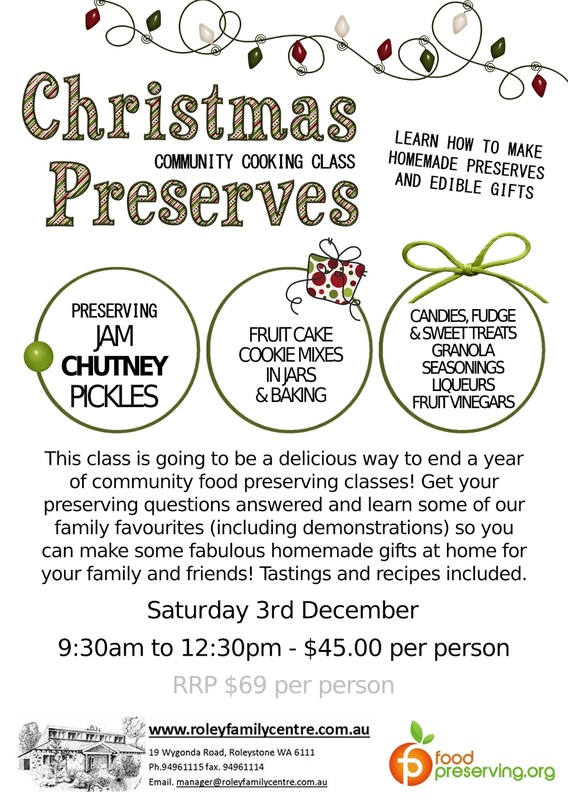 This class is going to be a delicious way to end a year of community food preserving classes by answering your preserving questions and sharing some family favourites (including demonstrations) so you can make some fabulous homemade gifts at home for your family and friends! Topics and recipes range will include (but not limited to) jam, chutney and pickles, fruit cake, cookie mixes in jars, candies, fudge and sweet treats, granolas, seasoning blends, liqueurs and fruity vinegars. Tastings and recipe booklet included. 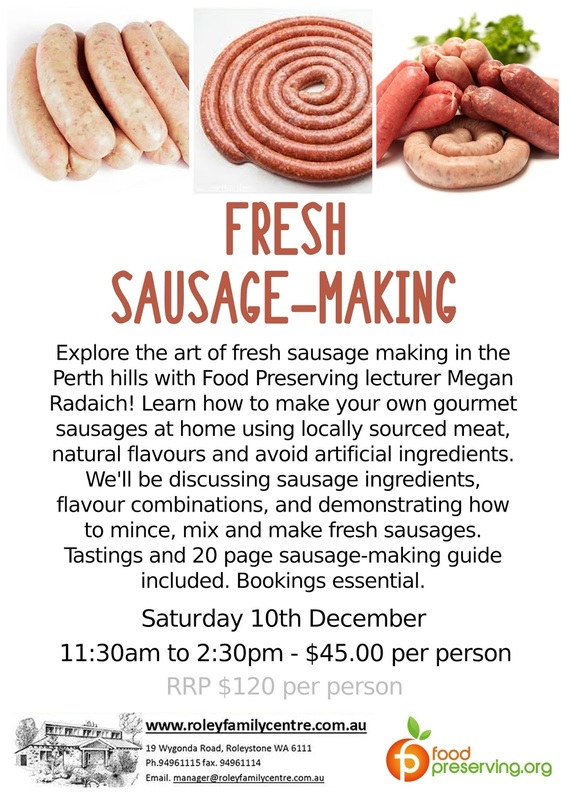 Explore the art of fresh sausage making in the Perth hills with Food Preserving lecturer Megan Radaich! Learn how to make your own gourmet sausages at home using locally sourced meat, natural flavours and avoid artificial ingredients. We'll be discussing sausage ingredients, flavour combinations, and demonstrating how to mince, mix and make fresh sausages. Tastings and 20 page sausage-making guide included. Bookings essential. Whether you live far away or close (perhaps busy on the day a class is held), our class notes are now available for purchase! Choose from sausage-making, cheese-making, yoghurt-making, dehydrating, jam, jelly, pickling, pie filling, pressure canning, brewing, fermenting, green cleaning and more! Class guides are available to purchase here. This term our class fundraiser is twist-top jars. Check out the Term 4 Jar Fundraising event on our Facebook Page for further details. Wholesale group purchase of Ball Mason jars in Western Australia. Join the Mason Jar Co-Op – WA Facebook group if you’re interested in joining the November group order. Enjoy your preserving journey. LEARN, CREATE, SHARE and spread a little love! Join Australia’s biggest food preserving resource for recipes and articles about home preserving, cheese-making, fermenting, dehydrating, sausage-making and more! Copyright © 2016 Megan Radaich. All rights reserved.